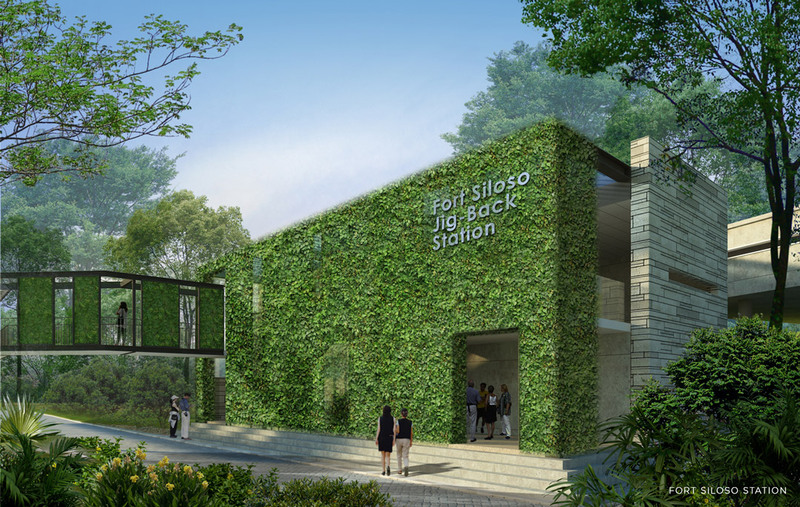 Perched on the foothill of Fort Siloso, the jig-back station is designed as a single storey structure that climbs up the slope. The external “skin” of the Station envelopes a series of spaces, and recreates the experience of exploring an old fort – with military structures and funnel-like spaces. 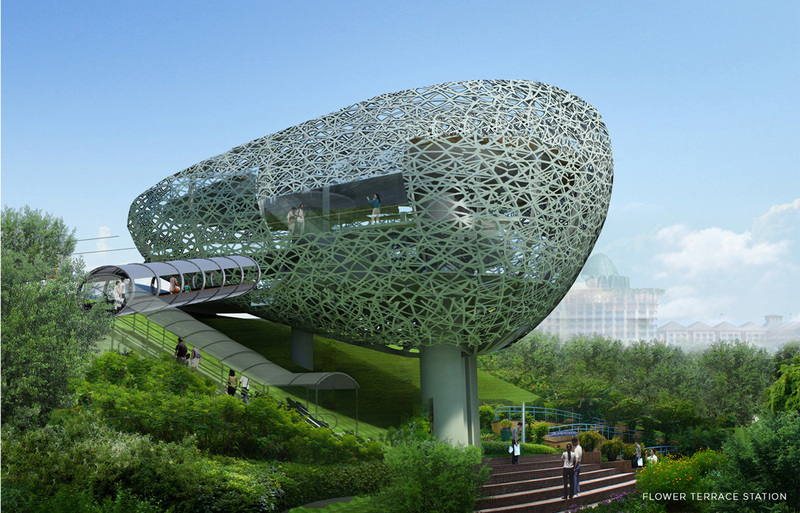 Climbers – will eventually – cover the “skin” and openings along the lower level would invite people into the Station. 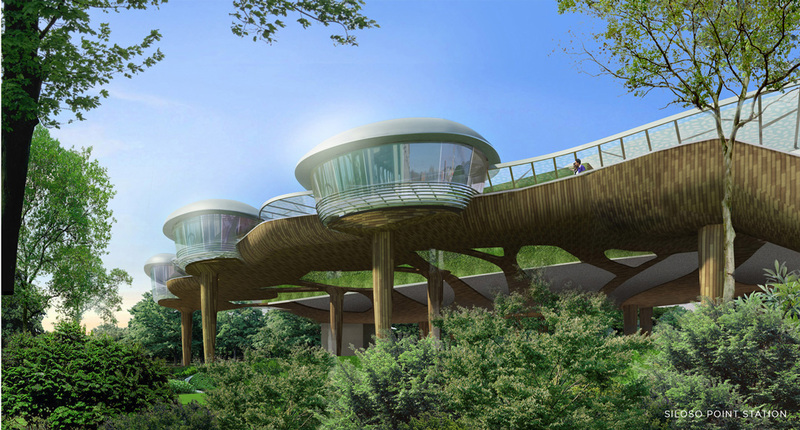 On the upper level, the elevated walkway is also lined with vertical green panels creating an alternating rhythm of solid and void, generating various interesting vistas and creating a series of intimate spaces for visitors to unwind. The design of this Station stems from an intimate understanding and appropriate response to the existing site conditions. 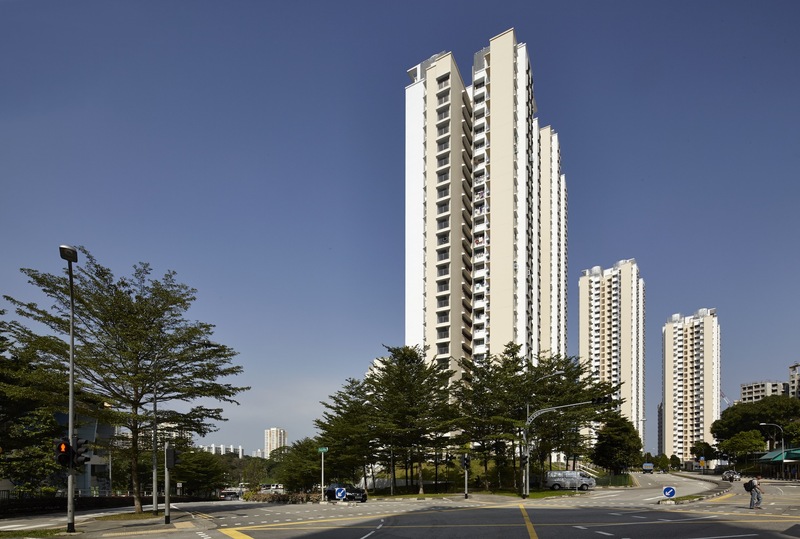 Dense vegetation flank both sides of the existing road and the upward view to the sky is a precious silver that offers visual relief as well as daylight to permeate through to the ground. A two-storey interlocking C-shaped structure is conceived to house the pedestrian mall within a forested area. 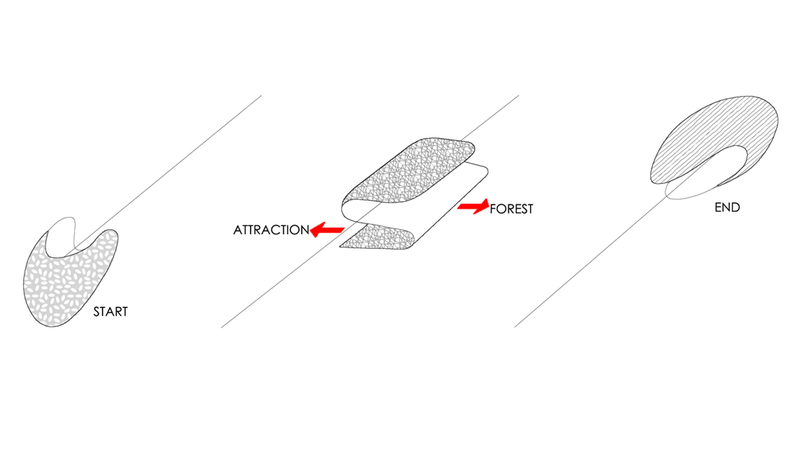 Half of this structure protrudes out of the thick foliage to announce the presence – and providing general visibility – of the Station, while the other half remains hidden among the understory and shrub layers of the forest – creating an exciting series of spaces of play and discovery. 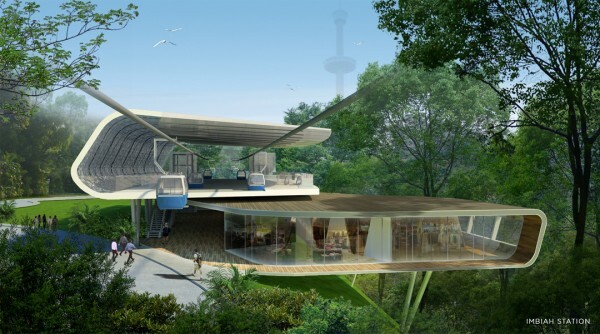 The upper floor remains open to the sky while the lower floor is indoor, but with generous views of the surrounding forests. 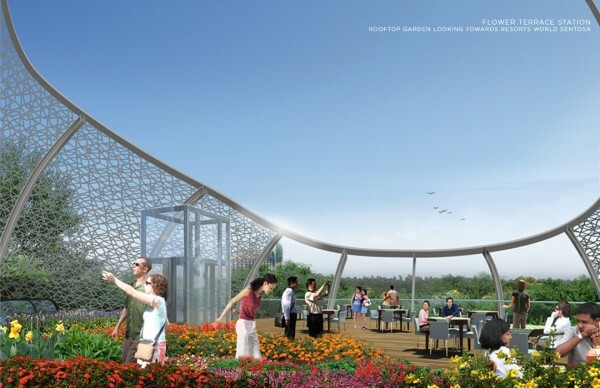 To reduce impacts on the ground and minimize its footprint on a dense and delicate flower-terrace site, the design of this Station borrows its form from its immediate context – flowers and terraces. Shaped like a bud hovering above ground, this symmetrically-rounded shape sits aptly at the center of the flower terrace and provides a visual anchor to the entire attraction. 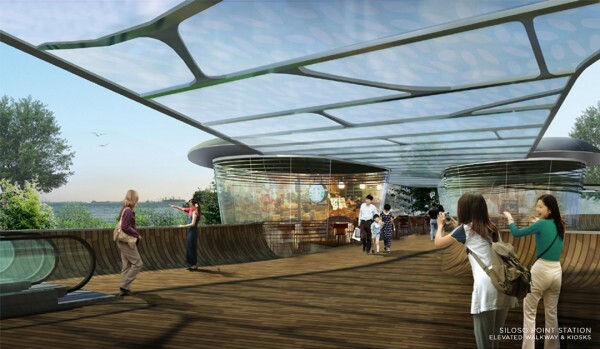 The upper concourses of the Station offer panoramic views of the surrounding flower terraces and a rooftop garden restaurant provides fine dining experience. To minimize disruption to the network of existing roads beneath the Station, the design approach became structure-centered. Column positions are coordinated with the existing roads, and an elevated network of “points” and “planes” intersect above ground to form a coral-like overall structure of system bridges and pods to accommodate the operational requirements of the Station. This coral-like structure is further pulled apart at certain points to promote day-lighting and cross ventilation. The pods and underside of bridges are colorfully-clad to resonate the festivity and energy of Siloso Beach.